Nearly 300 schools competed in this year's Click for Kids Contest. Check out which schools won and what the principals plan to do with the winnings. WASHINGTON — It was a dizzying back-and-forth battle between Hallie Wells Middle School and Chesapeake Public Charter School during the final day of WTOP’s Click for Kids contest on Friday. The intense competition between the two schools continued right up until the last 10 minutes of the contest. Up by a mere 30 points, Hallie Wells Middle School in Montgomery County was named the grand prize winner of $10,000. “Those 30 votes, I think that we owe completely to the community and staff who made a last-minute push, and they reached out to everybody they knew,” Barbara Woodward, the school’s principal, said. Woodward said the funds will go to support the school’s “Empower Hour” program, which gives students a chance to explore extracurricular activities, such as robotics, without the stress of grades. Empower Hour is a favorite of both students and staff, Woodward said. “We are very excited; we’re thrilled. We know that the funds will go to a good use for kids,” she said. Chesapeake Public Charter School in St. Mary’s County won $7,500. Principal Angela Funya said that as a school that focuses on the arts and the environment, the money will be used for environmental field trips and to bring artists to the school as part of an artist-in-residence program. Funya said she is awed by the sense of community that came out during the Click for Kids contest. Stevens Forest Elementary School in Howard County won $5,000 through the Click for Kids contest. Assistant Principal Tracey Albright said the money will be put to good use; the school plans to support community programs for school families with the winnings. Albright said the money will help the school reach out to families by offering monthly evening sessions with resources focused on child development: social and emotional development, nutrition and physical fitness. 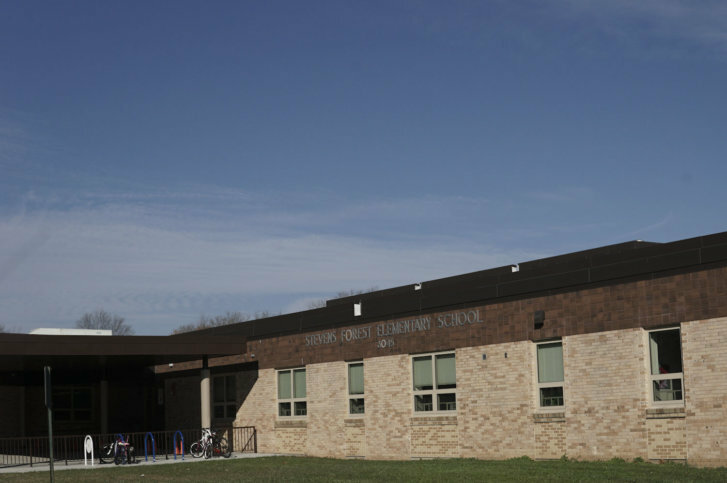 As a Title 1 school, many students at Stevens Forest Elementary School come from low-income families, so they are always looking for ways to support their families in any way possible, Albright said. She hopes a program like that can open up communication between the parents and the school. Nearly 300 schools competed in this year’s Click for Kids contest. The checks will be presented to the winning schools in a few weeks. Funding made possible by WTOP and Huntington Learning Center.